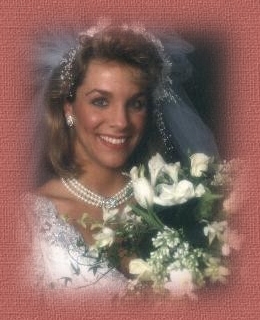 Lisa's bridal portrait. Isn't she gorgeous?! 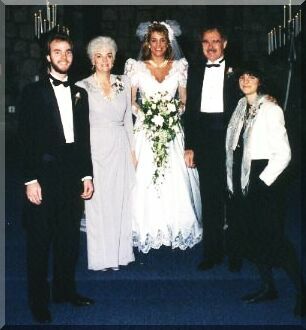 David, Mom, Lisa, Dad, Denise. 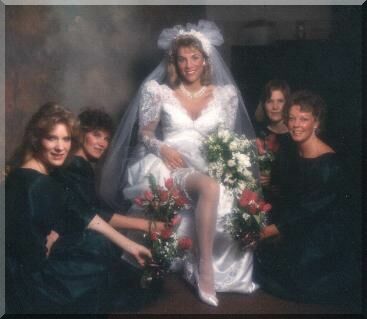 The guys all wanted this garter! This is the smile she was known for. I was so proud of my beautiful angel. 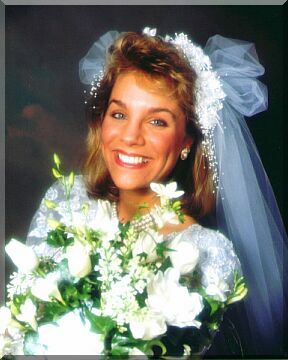 No bride was ever more beautiful! Artwork on this set is from a scanned image.